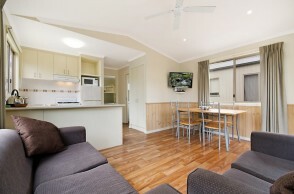 Villa cabins come with a good sized living room area and kitchen with full cooking facilities. Offering two or three bedrooms, with queen bed in main room and bunks in other bedrooms. 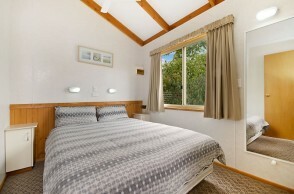 Villa cabins will accommodate a family of up to eight. Majority of cabins have verandahs. 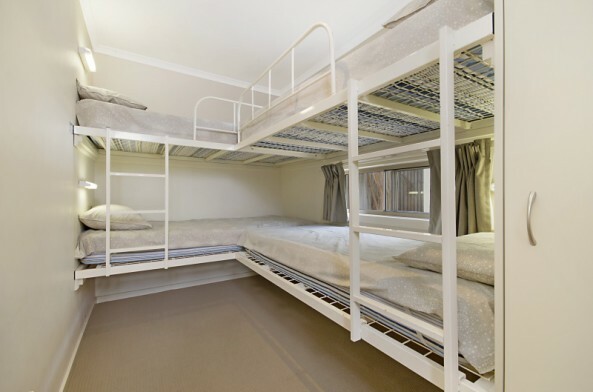 Also available 3 Bedroom – Queen bed, double bed and either bunks or 2 x single beds. (subject to availability).